Directly to the downloads? Please click at the links on the left side. bits and pieces -> joke functions (programming). Watch out! All programs allocated here are freeware and therefore free. Please note that I also use the programs and mistakes are excluded as far as possible and there are no known losses (if not mentioned), but nevertheless no guarantee for damage free function can be given! requirements To execute nearly all here presented programs the redistributable-version of the dotNet-Framework for the specific device is required. tip for owner of PPCs: To choose the right cab-file for the right processor architecture e.g. the software procMan from isosoft.org can be used. Webmaster: Please link to this page (maybe with anchors) and not directly to the files. start and enjoy the installed program! 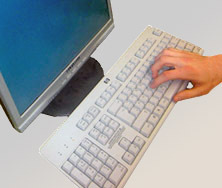 The cab-file is no longer required for the execution of the program after the installation on the PocketPC is done. (.net) download of the limited version for a PC of Help!